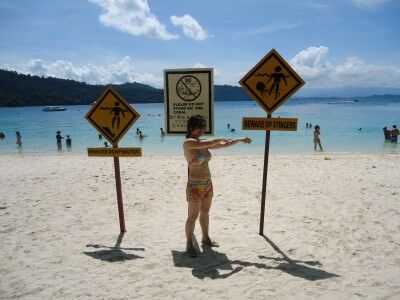 Beware of Stingers! The Day My Girlfriend Got Stung By A Jellyfish in Malaysia. Not so much a crazy story here today but a reminder to be careful and remember that hazards are everywhere we go, whether minor or major. 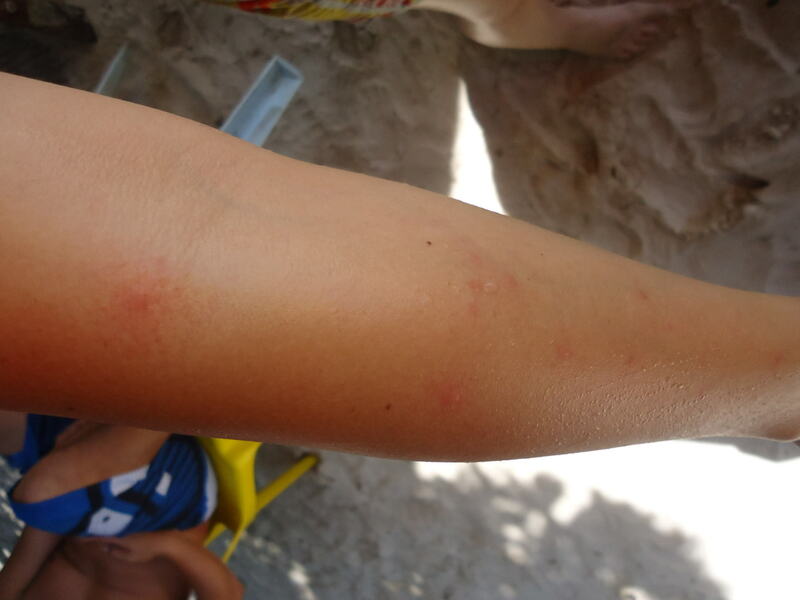 Getting stung by a jellyfish is something that can happen easily. 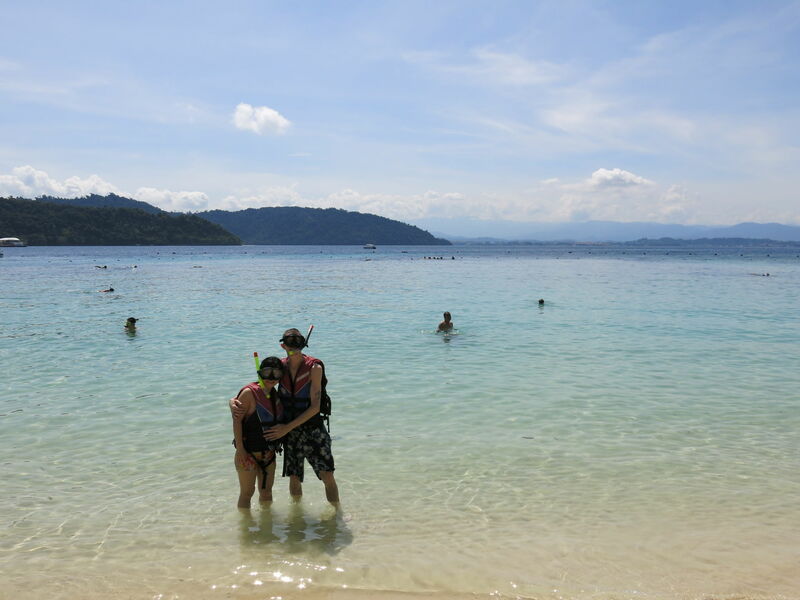 So my girlfriend Panny Yu and I were on an island hopping tour off the coast of Kota Kinabalu in Malaysia. Fairly routine and normal day of island hopping, beaches, eating, drinking and swimming. You’d have thought. 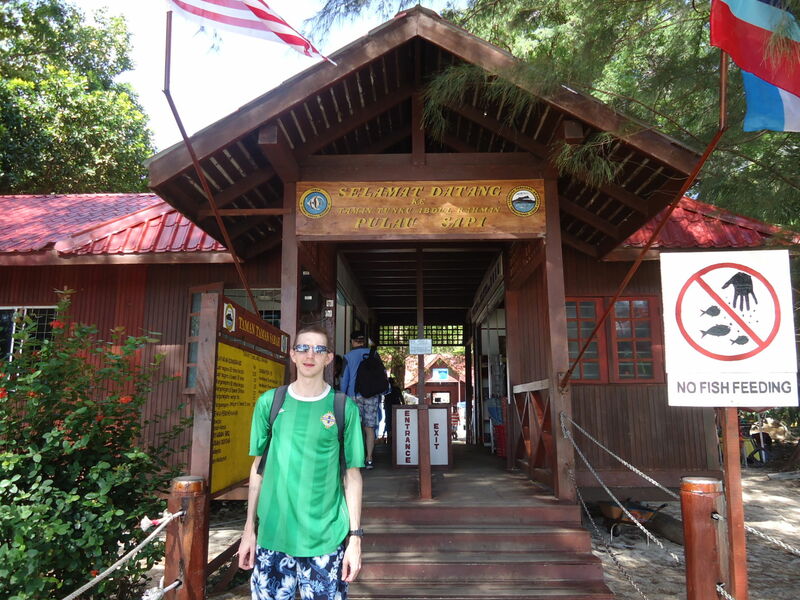 Arrival in Sapi Island, Malaysia before the Jellyfish arrived. So we arrived on the tropical Sapi island, off the coast of Kota Kinabalu. It was a hot sunny day and the first step was to drop off our bags on a bench, hype ourselves up with suncream and go snorkelling. We got into the water and were swimming around near the coral reef. I felt some stinging on my body but swam on thinking not much of it. I assumed it was the salt reacting with my skin. Then my girlfriend shouts that she thinks she’s been bitten and it’s itchy. So we come out of the water. Sapi is a paradise off the coast of Borneo, Malaysia. She has picked up a lot of spots on her arm in a rash. 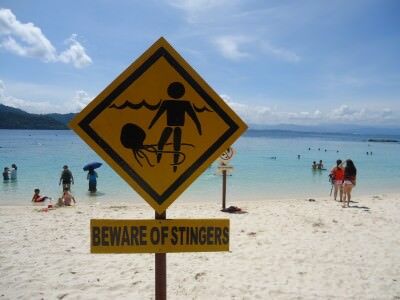 The lifeguard immediately knows it’s a jellyfish sting. I was pretty surprised, as I had seen jellyfish lots of times before and told him we didn’t see any jellyfish while we were swimming. 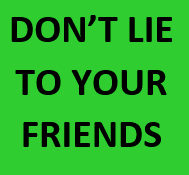 But I was wrong – there were lots of them. They are invisible apparently. And that I didn’t know, as the previous jellyfish I had seen had all been visible and bright in colour. Mostly because they had been lit up and in aquariums. My girlfriend was OK of course – just itchy. The guy applied some vinegar and we had some cream with us (anti-itch and post bite cream). Right beside where we were swimming was a big sign “Beware of the Jellyfish” and of course, as I hadn’t seen any jellyfish myself I would never have thought there were really jellyfish in there. 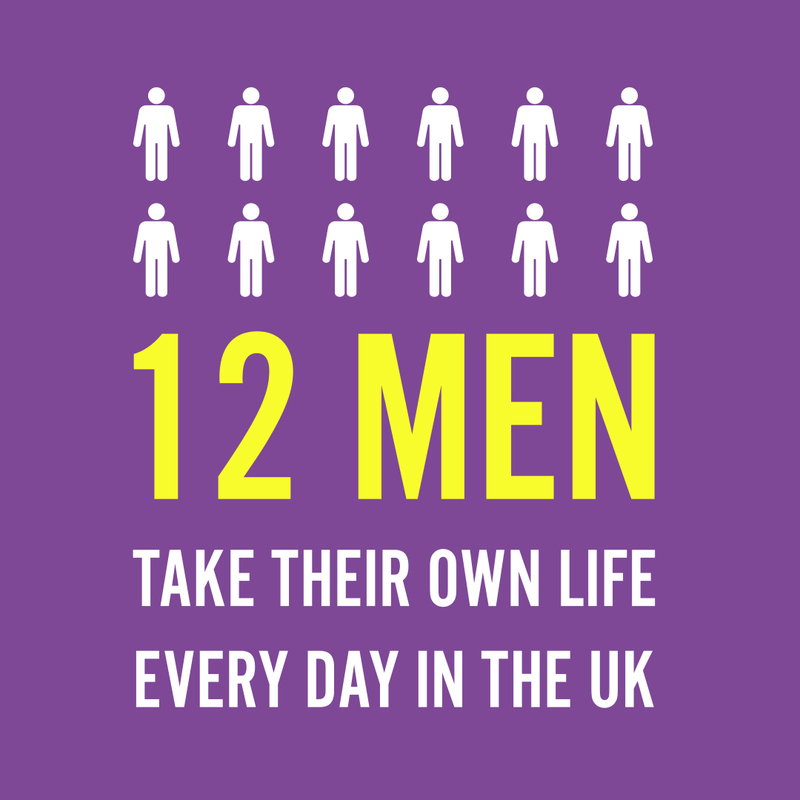 So be careful guys – they are invisible! 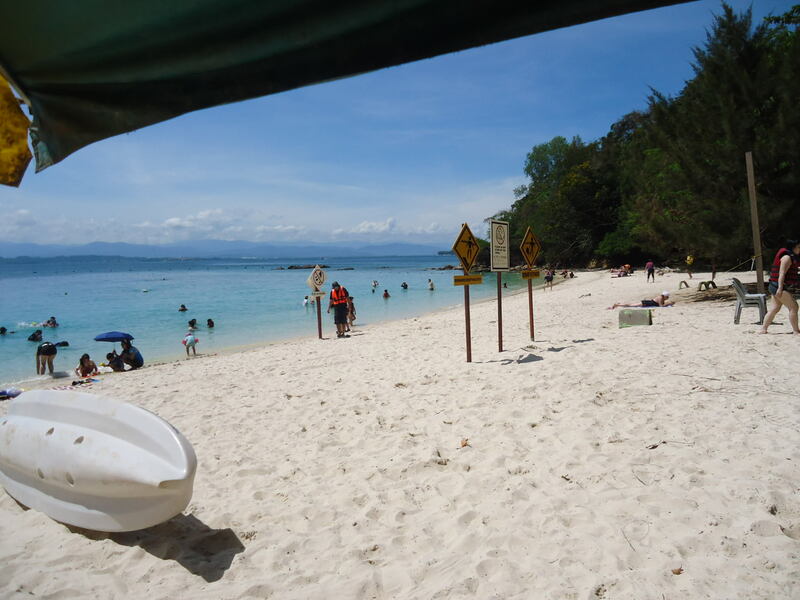 The beach at Sapi in Malaysia. My girlfriend Panny Yu at the Lifeguard hit getting treatment! My girlfriend was fine after a while – we just sat down, had a drink and relaxed. I remembered back to a “Friends” episode I had watched while a student where Ross pissed on Rachel to relieve the stinging of the jellyfish bites. Urinating on my girlfriend just wasn’t an option. 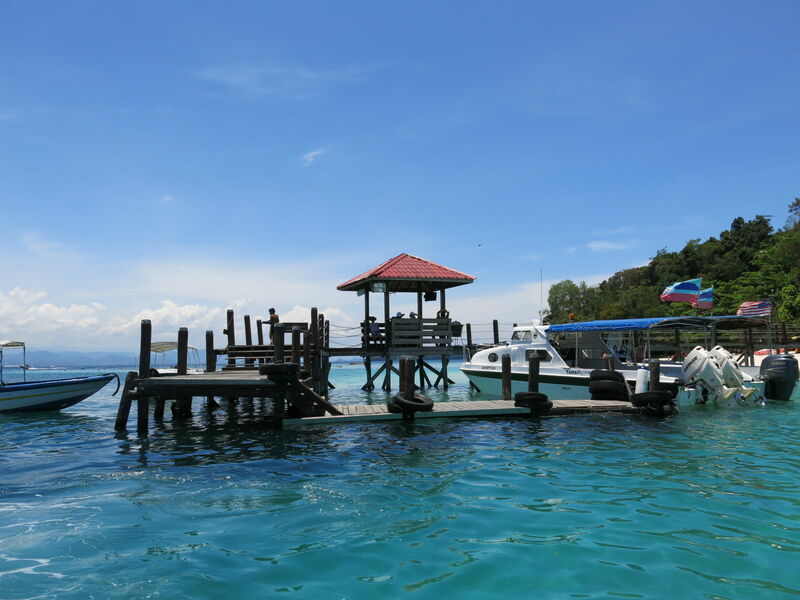 Aside from this the island hopping boat tours off the coast of Kota Kinabalu is well recommended. I loved it! Loving the tropical paradise on Sapi Island and beach in Malaysian Borneo, despite the jellyfish sting! Panny Yu points out the jellyfish sting sign. We saw it of course, but went snorkelling anyway! 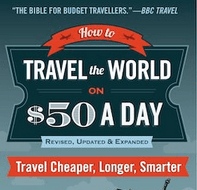 This entry was posted in Asia, Borneo, Funny Travel Stories, Kota Kinabalu, Malaysia, Sabah, Sapi, The Day I. Bookmark the permalink.